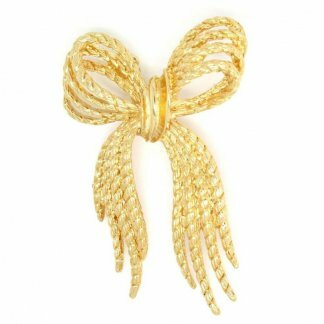 Description: We are delighted to offer this stunning statement brooch by Sphinx. 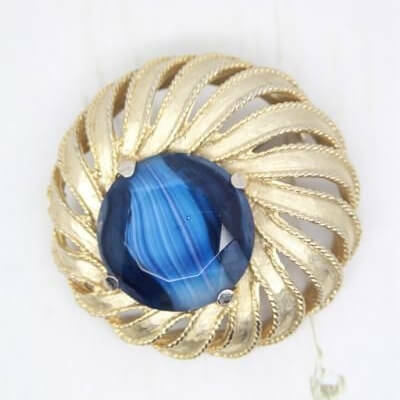 Fully signed to the back, this large brooch features a round faceted blue art glass stone in a soft gold plated ribbon effect setting. 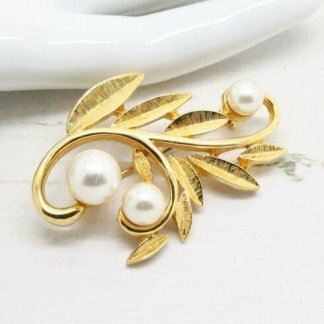 Measuring 5cm at widest point this brooch would look amazing attached to a coat or jacket. 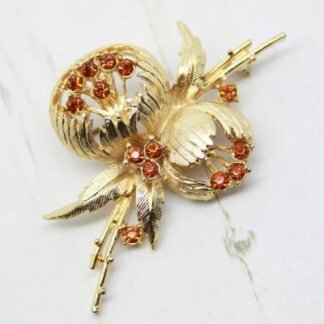 This genuine vintage brooch is in good condition, showing slight to no wear, it remains bright and clean. A classic example of Sphinx glass jewellery.